Thomas Buckner presents a program of pieces written especially for him by Robert Ashley (1930-2014) in their 30+ years of working together. Works include the stand-alone pieces ‘World War III, Just the Highlights’ and ‘Tract’, and three completely re-conceived concert versions of arias from the opera “Atalanta, Acts of God”: ‘The Producer Speaks’, ‘Odalisque’, and ‘Mystery of the River’, in its New York premiere. With Tom Hamilton, Joseph Kubera, Pauline Kim Harris, Conrad Harris, JD Parran and members of the SEM Ensemble. 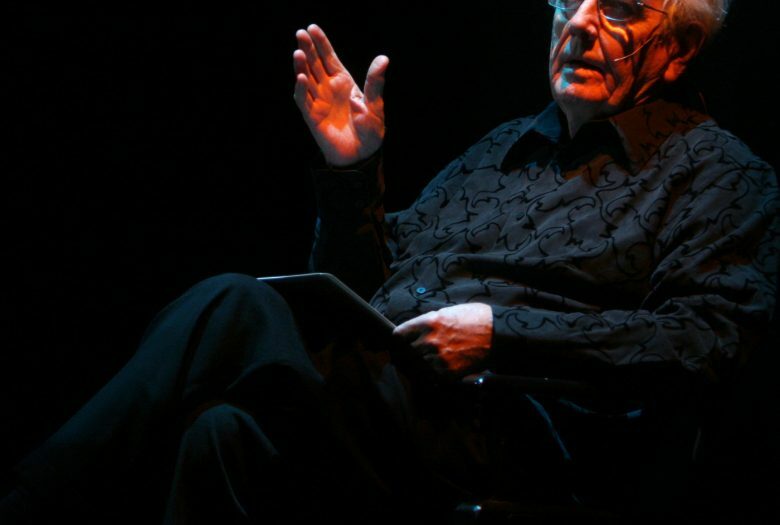 The Tribute to Robert Ashley is co-produced by Roulette, Performing Artservices and Interpretations. Roulette TV: ROBERT ASHLEY from Roulette Intermedium on Vimeo.